When people think of a scuba diving vacation the thought of faraway exotic places come to mind. Little do most divers know that you don’t need to travel half way around the world to experience an amazing dive vacation. We come across vacationers all the time who experience scuba diving in West Palm Beach, Florida for the first time and one thing quickly becomes apparent… Before they’ve left they are already planning their return trip to enjoy another great scuba diving vacation. But it isn’t just people who vacation here… So does the marine life! Sea turtles come from all over the Atlantic, Gulf of Mexico, and Caribbean to vacation on our beaches. 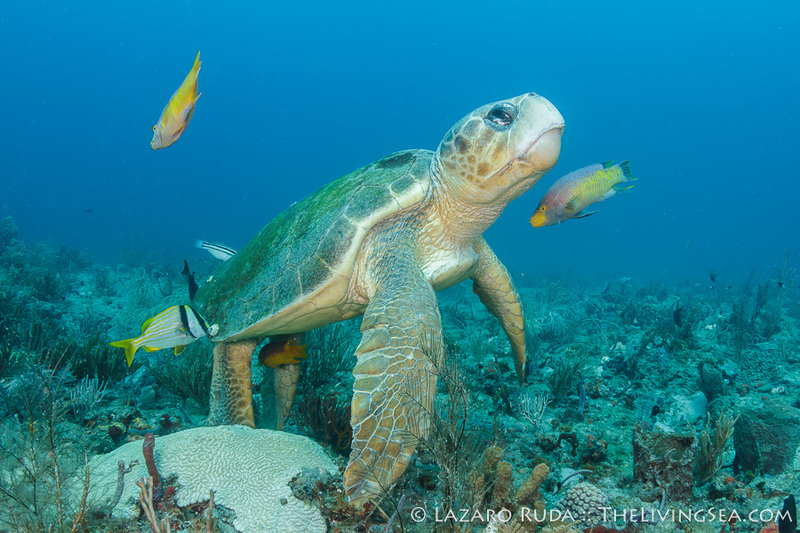 While they are here they take advantage of a little pampering like the female loggerhead pictured above who was getting a little manicure work done by countless reef fish. Sea turtles love it so much here in West Palm Beach, in fact, that they extend their vacation from March through October. For some it’s a vacation destination they never leave! Beautiful coral reefs, countless marine life, clear blue and warm Gulf Stream water — today was a perfect example of why having your scuba vacation in West Palm Beach is a no-brainer. Our hour-long dives on Flower Gardens and Breaker’s reef today were quite the treat with numerous sea turtle sightings, eels, sharks, and a menagerie of tropical fish life. And lets not forget those hard working, all-smiles dive guides who help make those scuba diving vacations a little extra enjoyable and a lot less work. If you’re thinking of a place to spend your scuba diving vacation then consider some of the best diving in Florida — West Palm Beach! Don’t just take our word for it, Scuba Diving magazine has West Palm Beach, Florida listed as one of the World’s Best Diving. Of course, a picture is worth a thousand words so here are a few thousand from today’s dive. 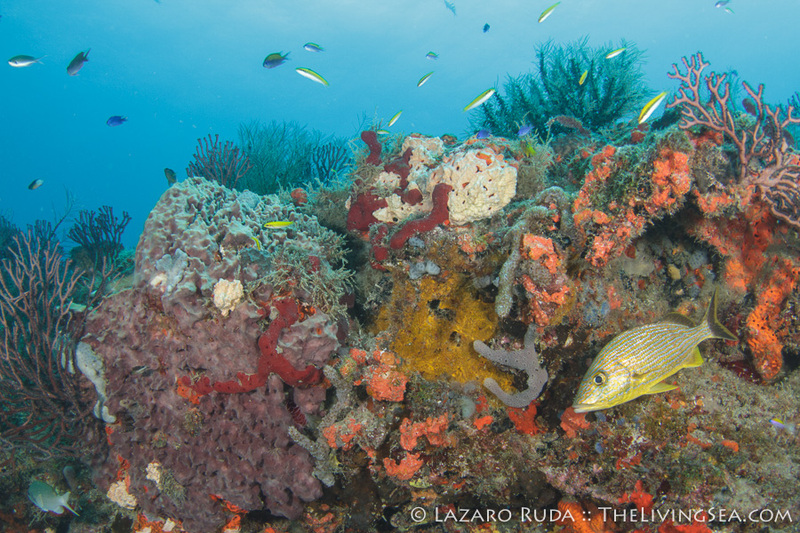 Make sure to look through our web site for many more underwater photographs of West Palm Beach. Hawksbill sea turtle are always ready to ham it up in front of the camera. Mike Walker — our trusty dive guide.